There is also small smoking room in Terminal A, next to Voyage bar. Feedback from Dario on the 20th April 2018. There is a smoking area inside terminal B after security. 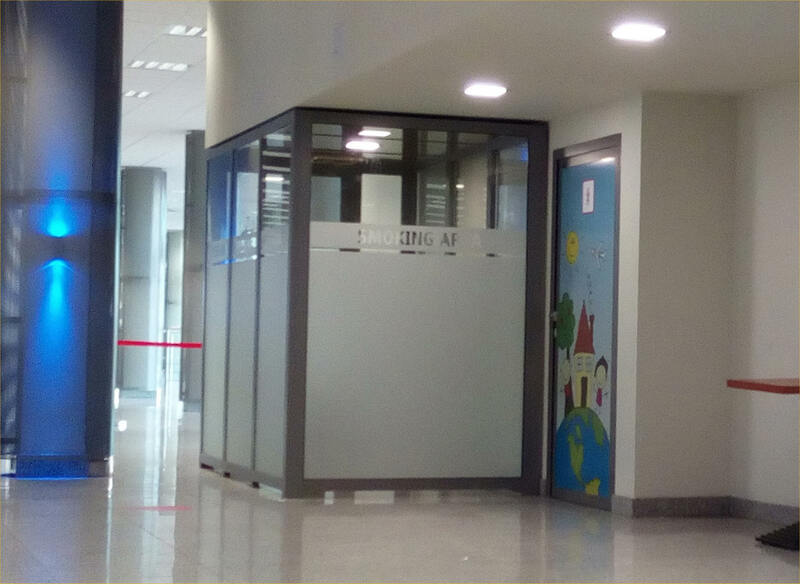 On the 1st floor near the gates in the passengers area was installed an enclosed area for 4-6 smokers. Feedback from Jan on the 16th April 2017.